Take advantage of the Messages framework in iOS 10 or later to create an app extension that lets users interact with your app directly within Messages. Users can easily create and share content, add stickers, make payments, and more, without leaving their conversations. The App Store for iMessage is now available to customers worldwide. You can now submit iMessage apps that can be downloaded directly from within Messages. 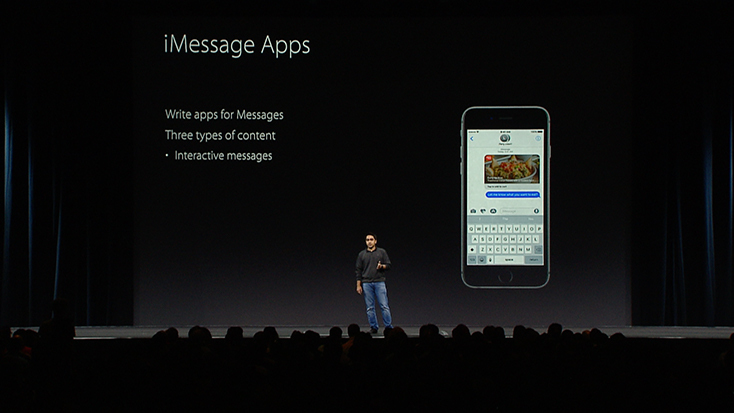 Get an overview of the iMessage App architecture. See how Xcode can easily create a simple sticker pack with your art. 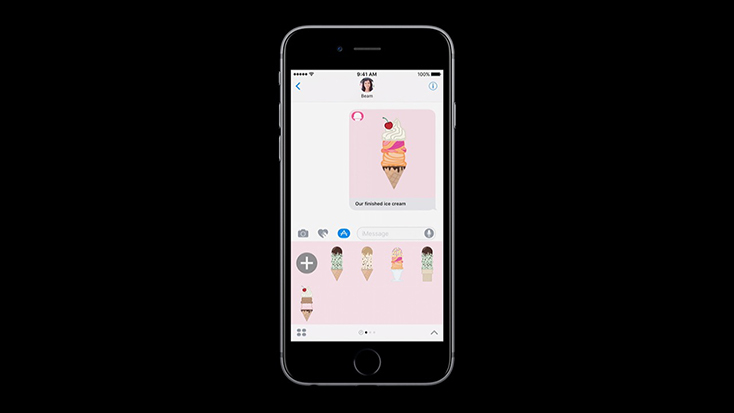 Learn how to make an iMessage app that has a custom sticker grid and can make any image you create into a sticker. Learn how people can work together to accomplish a task within the conversation. Customize the appearance of the messages your app can send. Learn about how to manage your app state in one-to-one and group conversations to provide an engaging and collaborative experience. With the Messages framework, you can build a standalone iMessage app, or an extension to an iOS app that lets users interact with your iOS app without leaving Messages. Consider the capabilities of each option as you plan your app. Sticker pack app. This is a basic sticker pack made up of images or animated images, which you don’t need to use code to build. You can list it in the Stickers category and relevant Stickers subcategories on the App Store for iMessage. iMessage app. Your app can include stickers, text, video and audio. You can also use code to add functionality such as Apple Pay and in-app purchase. Choose to list your app in the Stickers category or another relevant category on the App Store for iMessage. Sticker pack extension. You can bundle a sticker pack with your iOS app. The sticker pack is listed on the App Store for iMessage in the same category and with the same description as your iOS app on the App Store. iMessage extension. An iMessage extension can include the same features as a standalone iMessage app, and allow users to access features of your iOS app without leaving Messages. Your iMessage app will be listed on the App Store for iMessage in the same category and with the same description as your iOS app on the App Store. Find implementation details in the Messages Framework Reference. Ice Cream Builder: A simple Messages app extension. See Creating Stickers with Motion to learn how to create animated stickers. Ask questions and discuss with Apple experts and other Apple developers.